« Applique…..and a surprise from Penster! The gas shortage rumors are flying today. My mom came over here panicked and would not leave until we agreed to go fill up our tanks. She said gas will be $6 soon. I’m riding the bus to work tomorrow. *sigh* I guess we didn’t learn a damn thing from the 70’s. First, a sweater I bought for recycling. I will make a scarf for someone for a holiday gift and use what’s left to make a cap for a child. I can put ties on it because the i-cords are already knit for me! 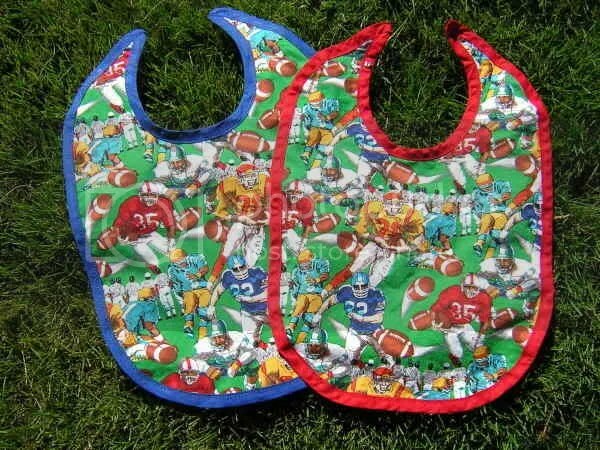 Football bibs for the upcoming season. The one with red trim is Gwens. It is backed with red and white gingham and it is for wearing when she watches the Colts with her daddy. The other one is for Gwen’s boyfriend Alexander. I am excited about this thing I got at the thrift store. 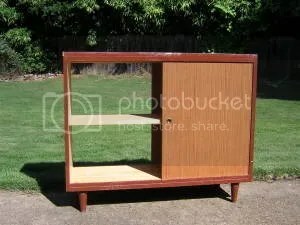 It is a small credenza-like cabinet with sliding doors on both sides. 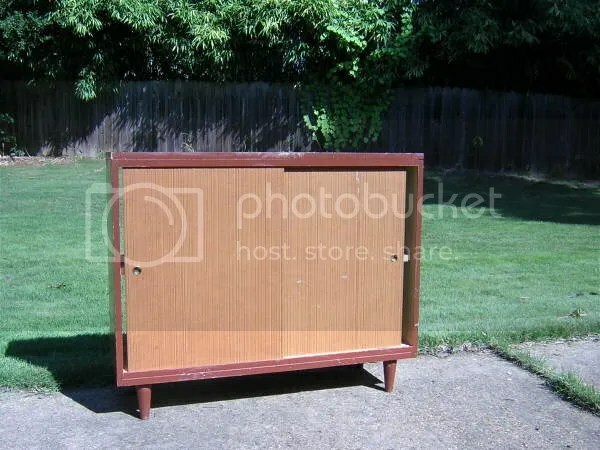 I will refinish it and use it in my bedroom for books and other stuff that is currently on the floor. I have never refinished anything before. Ok-I’m off to deal with gasoline-related issues. This entry was posted on September 1, 2005 at 3:16 pm and is filed under Uncategorized. You can follow any responses to this entry through the RSS 2.0 feed. You can leave a response, or trackback from your own site.